String orchestra (divided cellos) or string quintet. Duration just under 2 minutes. Grade 6/7. An inspiring work for choirs, about the uniting power of music, and our shared love of song. For SSA choir and piano and suitable for Youth or Adult choirs. A rich and varied collection of 12 new carols, written for children and teenagers, but great for all ages to sing. From traditional to modern, beautiful to fun, bringing Christmas alive. A short rhythmical piece originally written for a dance event. Only moderate difficulties, though ensemble would need some work. Oratorio subtitled 'Scenes from the early life of Christ', for chorus, soloists and chamber ensemble. Full score/vocal score. 135 pages. For French Horn and Piano in a jazz idiom. An atmospheric concert piece for flute, with presence and beauty, evoking a still mirrored lake in Massachusetts in the Fall. Reflections of kaleidoscopic colours are recreated in the piece, which uses many extended techniques. Composed between the 2008 and 2012 Transit of Venus, this piece evokes these rare events by mutual attraction of the two heavenly bodies; their brief close relationship as Venus passes across the sun's face.A live performance of this piece was broadcast by NASA on the World Wide Web. This attractive set of miniature pieces in a contemporary idiom was first played by oboist, Melinda Maxwell, for the soundtrack of a short film, “The Storyteller”. It was broadcast on Anglia TV in 1993. An upbeat light-hearted musical journey in all of three and a half minutes! Extracted from a 1988 piecd written for dance, this version for two saxophones and piano is the composer’s favourite scoring. SATB unaccompanied anthem suitable for Christmas, Annunciation or general use. Dance suite for violin and piano. Two virtuoso caprices: Chaconne-, a set of variations exploring violinistic techniques, and Bulgarian Etude- a moto perpetuo exploring irregular rhythms. 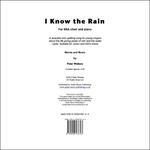 4 Welsh folksongs, arranged by John Battley for mixed choir (SATB): 1). All Through the Night; 2). The Rising of the Lark; 3). The Ash Grove; 4). David of the White Rock. Baroque suite for piano or harpsichord by Thomas Roseingrave (1688-1766), the English contemporary of Handel & Scarlatti (both of whom he knew), as well as Bach & Rameau. An approachable piece in lighter mood of 3 movements: 1). Alla Marcia; 2). Lento; 3). Presto. Geoffrey Self (1930-2008) was Music Advisor for Somerset; then Head of Music at Camborne Technical College. Originally for oboe, this new arrangement is for double bass in solo tuning and is a lively and accessible Baroque concerto for the advanced bassist. 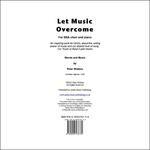 Also published in orchestral tuning. A lively and enjoyable solo for the intermediate bassist. Suitable for Grade 6/7 level, there are effective musical and technical challenges in the lower orchestral register and much to enjoy. A lyrical and evocative solo for the good intermediate bassist. Louis Glass (1864-1936) was a contemporary of Nielsen and wrote in a late-romantic and distinctive style. Music of distinction. A new and exciting recital piece for flute and piano. Ideal for adventurous concert planning. Newly arranged by David Heyes, these two 18th-century arias by Handel transcribe well for double bass. They combine musical and technical challenges offering enjoyable and accessible music for any occasion. Originally for mandolin and piano, this evocative and lyrical Adagio transcribes well for the double bass. In one extended movement, it will be ideal for any Grade 8+ bassist looking for something new.